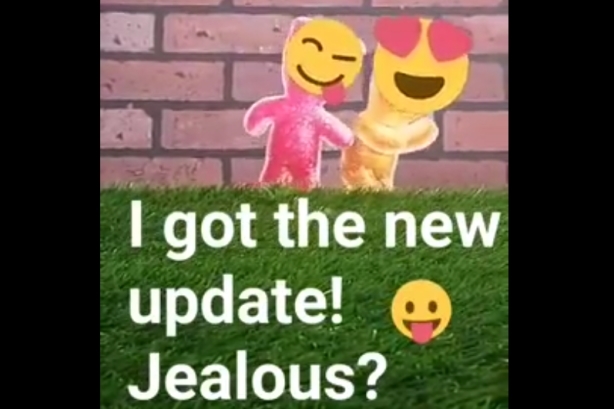 Sour Patch Kids, Mountain Dew and General Electric took different approaches with the Snapchat update. Snapchat’s latest update is further fueling emoji-mania by enabling users to cover video objects in moving emojis — and brands are already testing the waters. Before yesterday’s update, users could only add and enlarge emojis on still photos. But now, via object recognition and spatial mapping, emojis will rotate or scale automatically as a user-specified object moves in videos on the app. The update is initially available on Android and will come to iOS soon. Sour Patch Kids, Mountain Dew, and General Electric were among the first brands to try out the new feature, each using it in completely different ways. Between last fall and spring of 2016, Instagram’s consideration as the most popular social network for teens dropped from 33% to 27%, while Snapchat rose from 19% to 28%, according to a recent study. Mountain Dew has been using Snapchat to reach cross-cultural male millennial consumers, the brand’s digital marketing manager Stinson Parks told PRWeek via email. "Snapchat offers our fans a raw, unedited look into the world of Dew and allows them to have more of a unique and personal experience with the brand than they do on any other social channel," said Parks. "We have become engrained in our fans’ story feed, with Snapchat stories allowing us to produce quick, pithy pieces of content that resonate with our target." He added that the brand has no specific plans with the new 3D emoji feature, but ultimately hopes to use it as a tool to "tell impactful stories that resonate with [Mountain Dew] fans."